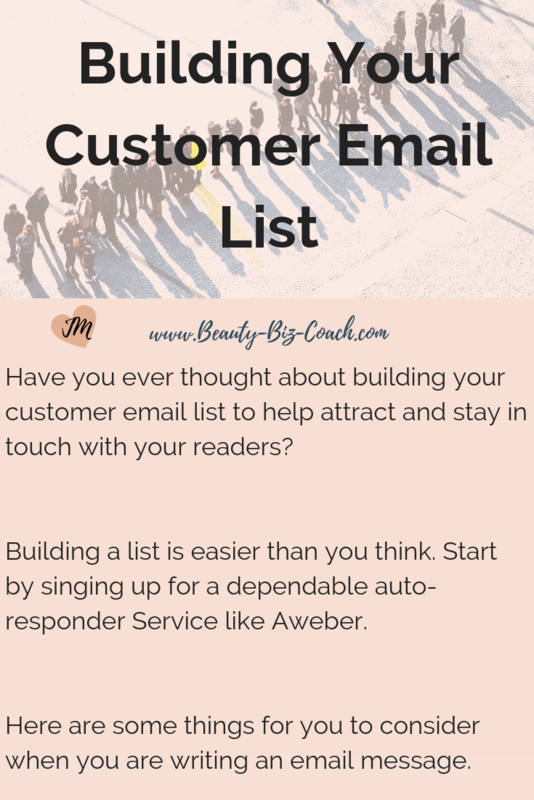 Have you ever thought about building your customer email list to help attract and stay in touch with your readers? Be honest. How many times does this happen? You’re browsing on the internet, and you come across a blog post you love. You resolve to come back to the blog and read it regularly before moving on. Two hours later and you’ve completely forgotten about this great new blog you discovered. Chances are you’ll never make it back there unless a serendipitous event reunites you with the blog a few months down the road. Building a list is easier than you think. Start by singing up for a dependable auto-responder Service like Aweber. Set up your first list, write a short little email to welcome new readers, and grab the code for an opt-in form. Stick it in your sidebar or even better add it to the bottom of your blog posts (or do both). This alone will get you started building your list. From there you can expand and start to learn more about list building. Things you want to look into are a dedicated opt-in page, pop-up opt-in forms, etc. Once you get your opt-in page set up, you can link to it from your social media profiles and when you guest blog different places for example. Send a quick email every time you publish a new blog post, or if you do a lot of posting, consider doing a weekly recap type mail instead. The main idea is to keep bringing them back to your blog and turn them into loyal fans and regular readers. Once that happens, chances are good that they start to share your blog and links to individual blog posts to their circle of influence. Since everyone has social media profiles these days that could amount to quite a bit of new traffic for you.